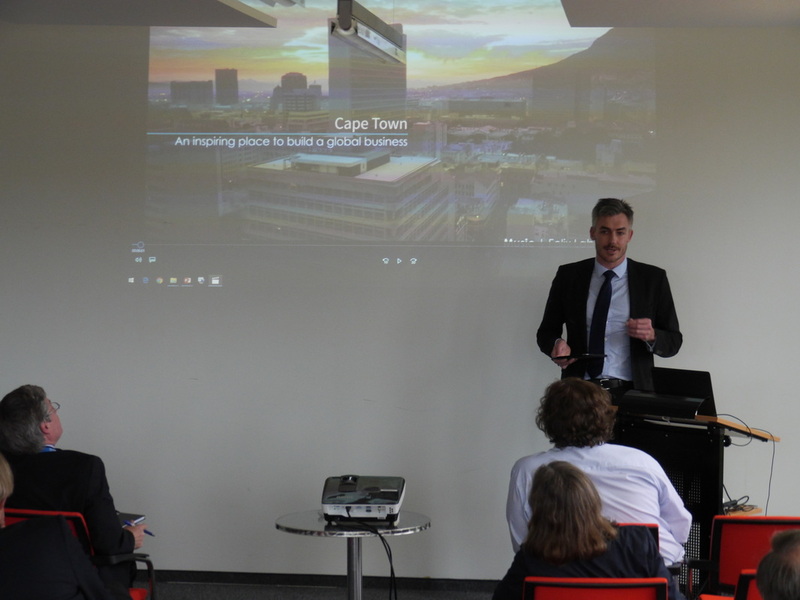 Digitalisation is a global trend and has a strong impact on society, politics, and business. It is an important driver for innovation. All RLS partners are equally concerned by the digital challenges; at the same time, the cultural differences among the partners enable a broader and more comprehensive analysis of these challenges. Experts from science, business, and government want to provide companies, mainly those in the manufacturing sector, with a practical “toolkit” to better understand and take on the digital challenges of Industry 4.0. In addition to offering adaptable tools for small and medium enterprises, the project aims to develop guidelines for future digital innovation management. Particular attention will be paid to societal considerations, including job creation and economic development. The main objective is to jointly generate knowledge to better understand the unprecedented societal challenges induced by the new digital technologies. This is the first step toward a positive response to the digital transition at the company level in the RLS regions. At a later stage, the expert group will consider the elaboration of new ethical, regulatory, and security guidelines to govern the digital changes. 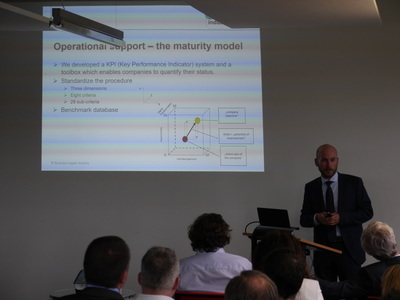 Furthermore, acknowledging that there are no individual solutions to the digitalisation challenges, the RLS experts’ group is promoting a cooperative approach among companies. Government partners (staff working on regional digital strategies, policy experts), universities (digital technologies and social sciences), and small and medium companies involved in the digital transformation (SMEs are to be the primary beneficiaries of the results) are all welcome to participate in the dialogue. 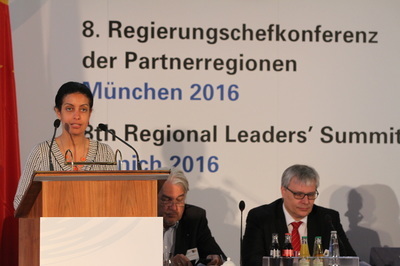 The first dialogue took place in Garching, Bavaria on 13 July, 2016, where members from each RLS region presented on a digitalization theme that was key in their own regions. 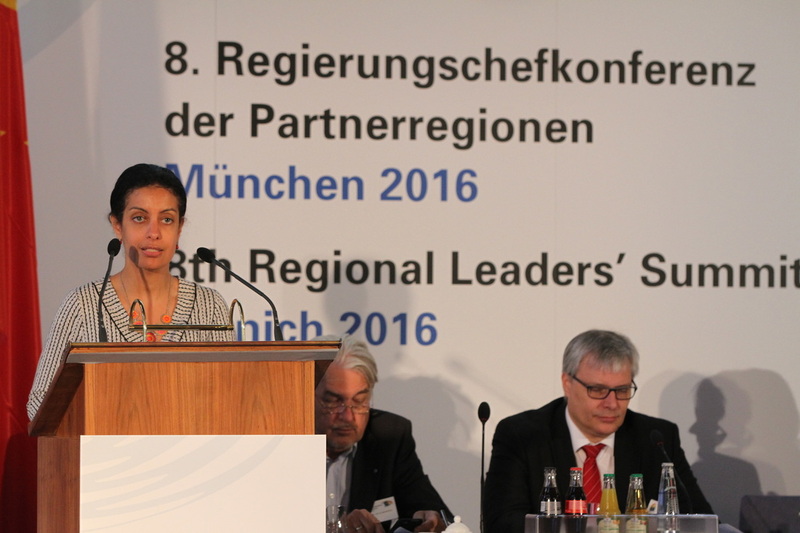 In 2017, a bilateral exchange between Bavaria and Québec set the stage for further discussions, as the leadership of the RLS conference and RLS-Sciences activities passed from Bavaria to Québec. Additional partners in Québec have been added to the dialogue since 2016, and it is anticipated that more may join following the RLS-Sciences activities in Québec in 2018. The lead partner is Prof. Dr. Manfred Broy of the Zentrum Digitalisierung Bayern. On 3 December, 2018, at the Faire face à l'intelligence artificielle forum to address issues in artificial intelligence, Chief Scientist of Québec Rémi Quirion announced the creation of the new International Observatory on the Societal Impacts of Artificial Intelligence and Digital Technologies. The initiative will be led by Lyse Langlois, professor and researcher in industrial relations at Université Laval and director of the Institute for Applied Ethics (IDÉA). The observatory will assemble some 20 universities and colleges, as well as close to 90 research centres. Members will work in collaboration with government, civil society and private sector organizations in Québec, Canada and abroad. Mandates involving research, monitoring, training, public consultation and recommendations on policy and legal aspects to provide a framework for the development of artificial intelligence will structure the activities of the new scientific entity. 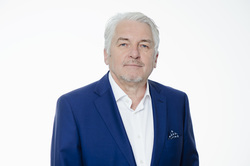 The initiative is funded by the Fonds de recherche du Québec (FRQ), in partnership with the ministère de l'Économie et de l'Innovation, in an amount of $1.5M per year over five years (total budget of $7.5M). 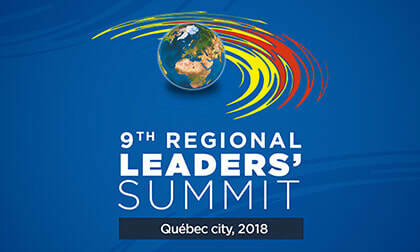 On Friday, 18 May, 2018, Dr. Florence Gauzy, with the support of Prof. Dr. Gilles Savard, offered a summary of the project progress and on initiatives in the different regions to the Regional Leaders Summit Conference at the Château Frontenac in Québec. This was part of the RLS-Sciences presentation segment of the conference. Review the RLS-Digitization presentation here. On 17 May, an internal meeting provided an opportunity for further exchange from different regional perspectives. 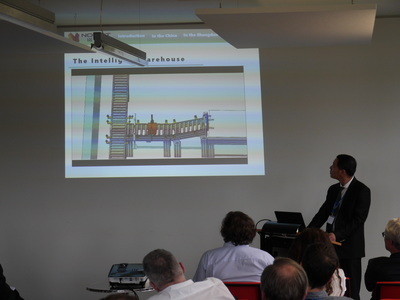 Specifically, presentations on initiatives from Bavaria, Georgia, Québec, and Upper Austria offered insights into their respective digital transitions. Additionally, Georgia presented a video on a specific state-level initiative combining transit, energy, and digitalization, which can be viewed below. 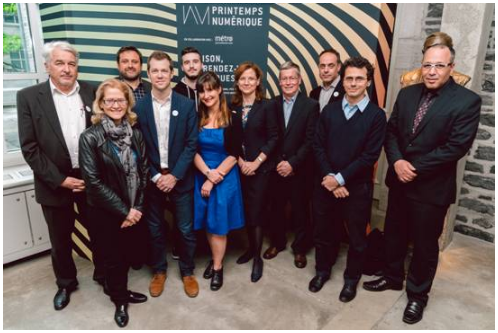 The Expert Dialogue on Digitalisation began its meetings in Québec with a ‘’Journée de recherche`` or ‘’Digital Day’’ hosted by the Fonds de recherche du Québec. 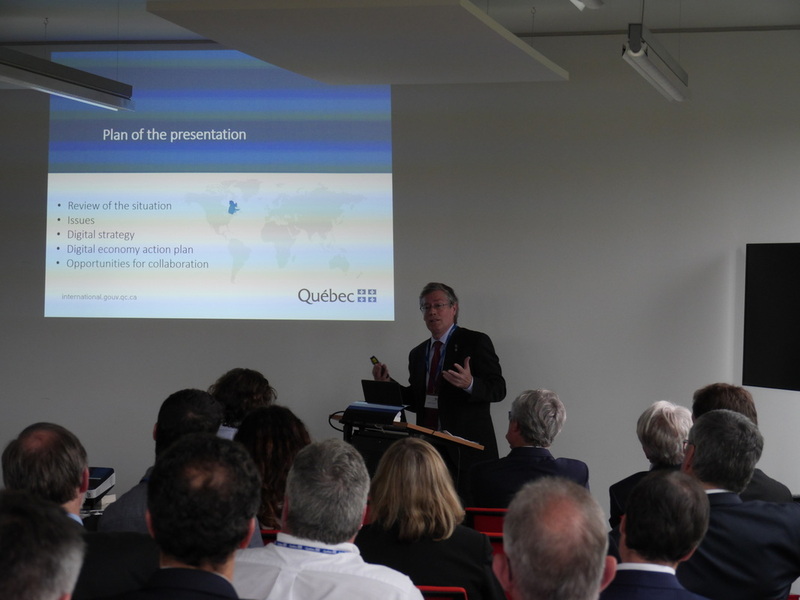 The event brought together experts from across the RLS regions in digitization and innovation with Québec organizations working in AI, robotics, health, transportation, and more. RLS researchers presented on topics including the digital innovation ecosystem in Québec, programmes to foster international collaboration from São Paulo, and human-machine interactions. See the programme here, and review the presentations below. 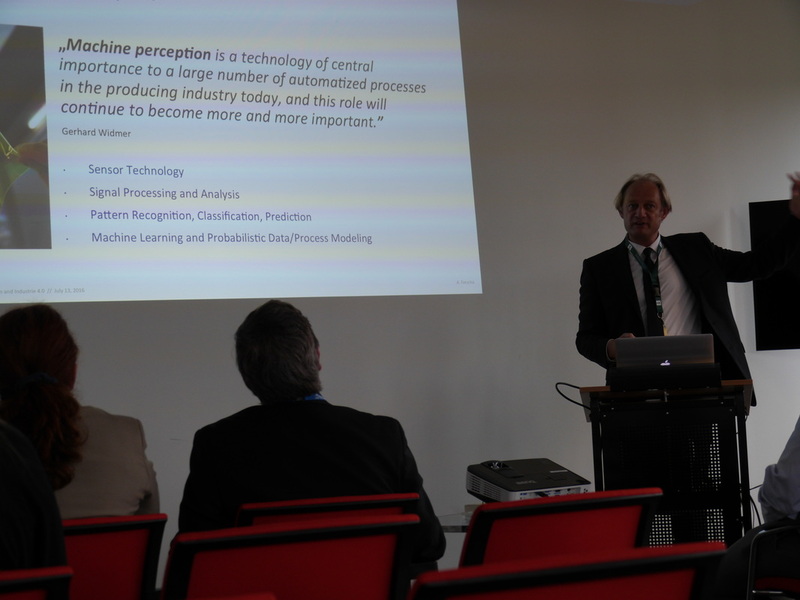 Prof. Broy’s presentation focused on the experiences in Bavaria of digital transition and key lessons learned relating to Industry 4.0. The state of Bavaria released its BAYERN DIGITAL II Masterplan, which included a 10-point plan supporting Bavaria´s digital future. 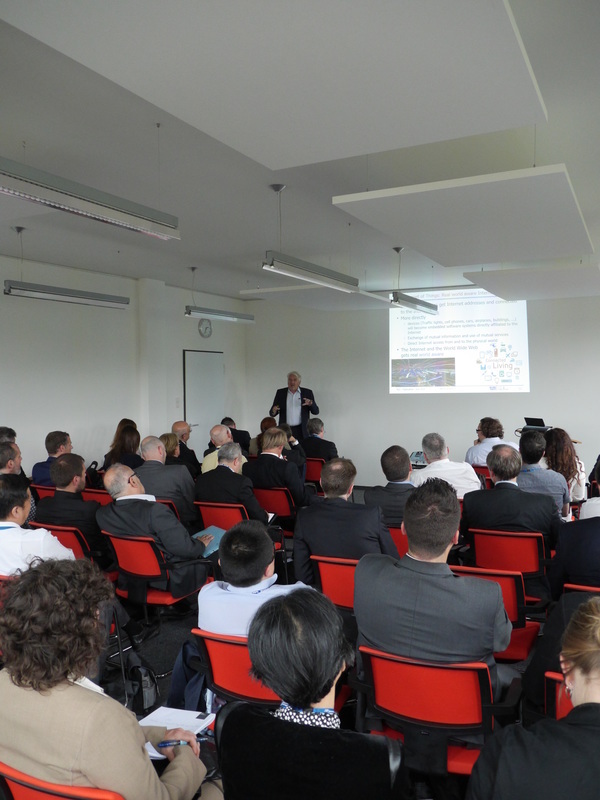 Other presenters at #intersections included Prof. Gilles Savard, Director General of IVADO, Mr. Frédéric Bastien, Managing Director of Mnubo, and Mr. Thomas Scarinci, Senior Vice President of aero-derivative gas turbines Siemens Canada. In the ensuing discussion forum, discussion topics included the opportunities and challenges for start-ups, young entrepreneurs and SMEs in the course of digitization. The event was a timely discussion ahead of Québec’s planned release of its “stratégie numérique” in the fall of 2017. 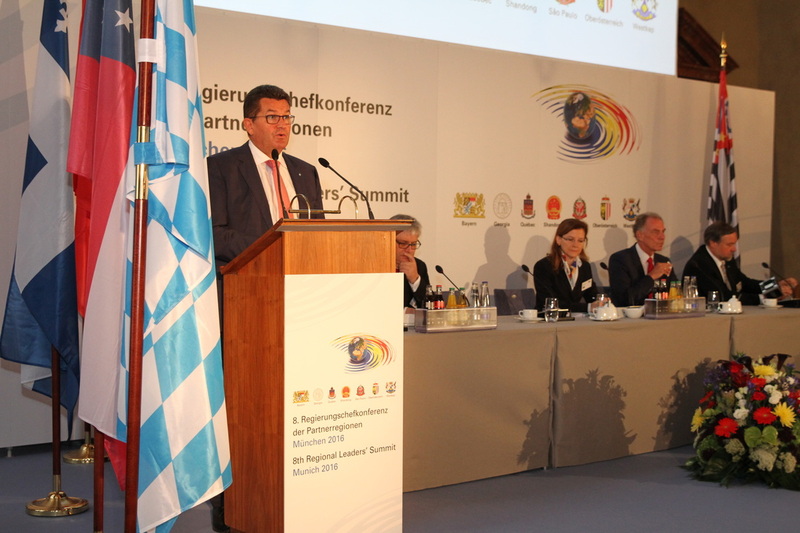 The event was organized in cooperation with the representation of the State of Bavaria in Québec. #intersections is part of the "Printemps numérique" and seeks to connect science, industry, and art, in a showcase of Montréal’s digital innovation and capacity. The result is a comprehensive series of events in Montréal on the subject of digitization, ranging from artificial intelligence to urban digitization processes and their social effects to digital art. ​The event deepened the bilateral ties between Bavaria and Québec in the field of digitalisation as initiated 2016 within the Regional Leader Summit (RLS) and served as a promising activity to further cooperation ahead of the 2018 summit in Québec. Visit the ZD.B website here. Visit the Printemps numérique site here. 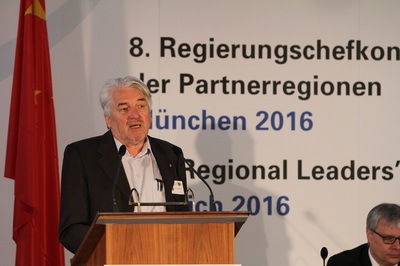 On Friday, 15 July, 2016 , Prof. Dr. Manfred Broy presented on the topic of digitalisation to the Regional Leaders Summit Conference at the Residenz in Munich. This was part of the RLS-Sciences presentation segment of the conference. 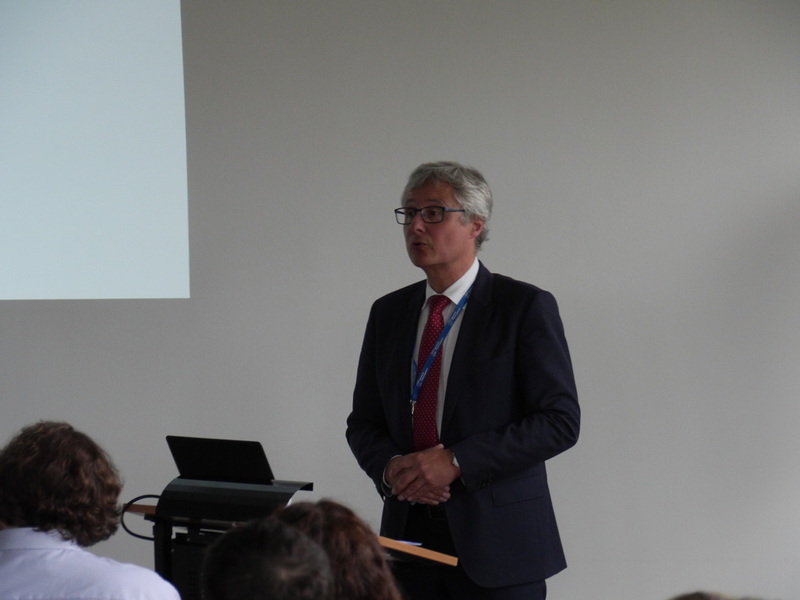 Bavarian State Secretary for the Ministry of Economy and Media, Energy and Technology, Franz Josef Pschierer gave the welcoming address. Québec Minister for Economy, Science and Innovation and Minister Responsible for the Digital Strategy Dominique Anglade gave the closing remarks. Review the RLS-Digitalisation presentation here. On 13th July, 2016, experts from across the RLS regions came together for an expert dialogue on digitization and "Industrie 4.0" from their regional perspective. The dialogue offered an opportunity for the regions to share their competencies in the field, as well as best practices and lessons learned about the digital transition. 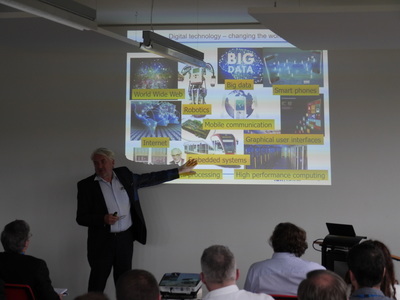 The dialogue was hosted by Prof. Manfred Broy at the Zentrum für Digitalisierung Bayern. On 11 February, 2016, Prof. Dr. Manfred Broy moderated a panel discussion on ''Cornerstones of a Cyberdependent Society''. The panel was part of the 2nd International Cybersecurity Conference, and featured government and industry representatives.